Building upon Opex's innovative one-step drop feed scanning process, the Opex DS2200 mixed document capture platform offers the most performance and value in its class. The DS2200 was designed to scan even the most challenging documents with little or no document preparation. 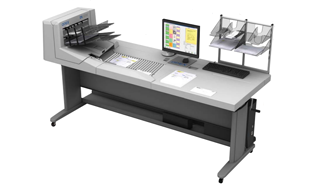 As a one-step scanner that can eliminate separator sheets while producing significantly less document handling and preparation time per batch, the DS2200 is ideally suited for a wide range of applications. 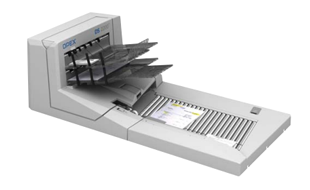 Combining OPEX’s unique drop feed technology with a new state-of-the-art auto feed capability, the DS2200 provides operators maximum flexibility to handle virtually any document scanning task, while practically eliminating costly prep, jams and rescans. By automatically edge-aligning mixed-size items prior to feeding, the DS2200 overcomes the limitations imposed by center-fed scanners.